we offer both Curb Side and Back Door pickups. Currently Serving several hundred commercial customers, we provide 1-30 yard containers for all kinds of businesses such as Restaurants, Factories, Office Buildings, etc. 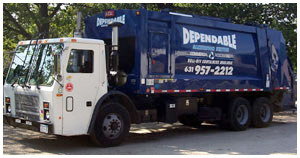 We provide bulk pick-ups of all types of Recyclables such as cardboard, office paper, wood, plastic, metal, etc. We provide Daily, Weekly, Or Monthly pick-ups based on your needs. We offer Free waste surveys and estimates. 5, 10, 15, 20, 30 Yard Container available for all kinds of Construction and Demolition debris. Home Owners and Contractors welcomed. Same Day service guaranteed. You load or we load.